Ina Garten, the best-selling cookbook author and star of Food Network's "Barefoot Contessa," is coming to Chicago Thursday, Nov. 6, and presale tickets are available today! 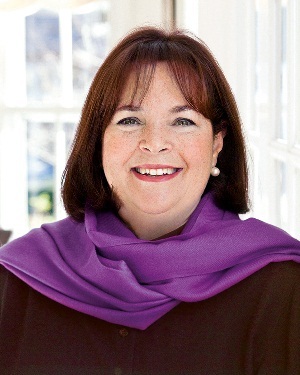 Ina Garten will share her natural approach to food, entertaining tips, stories, and maybe even some recipes. The Emmy Award-winning host of the "Barefoot Contessa" television show on Food Network and a New York Times best-selling author will be joined on stage at the Auditorium Theatre with special guest host Catherine De Orio, host of WTTW's Emmy award-winning "Check, Please!" Garten will deliver a charming insider's view of the hit TV show, now in its eleventh season, and the pleasures of good food, cooked with love and passion, engaging the audience with an interactive Q&A. Garten's eagerly-anticipated ninth cookbook, Make It Ahead: A Barefoot Contessa Cookbook (due out Oct. 28) delivers her top make-ahead recipes and invaluable tips, making meal-planning easier than ever. Ina Garten's Food Network show, "Barefoot Contessa Back to Basics," is now in its 11th season on Food Network and her previous eight cookbooks have all been New York Times bestsellers. Presale tickets for the event are available now by using the code INA.